Increasing economic inequality in cities, and the spatial translation of that into more segregated neighbourhoods, is top of the political agenda in developed countries. While the overall living standards have increased in the last century, the focus has now shifted from poverty to economic differences, with a particular focus on the gap between the very poor and the (ultra-)rich. The authors observe a common view among policy-makers and researchers alike: that urban-economic inequality and segregation are increasing; that this increase is bad; and that money and people (in the case of segregation) need to be redistributed in response. In six compact chapters, this book enriches and broadens the debate. Chapters bring together the literature on the social effects of economic inequality and segregation and question whether there are sizable effects and what their direction (positive or negative) is. The often conflated concepts of economic inequality (and segregation) and social injustice is disentangled and the moral implications are reflected on. The book is essential reading for students and academics of Planning Theory, Planning Ethics, Urban Geography, Urban Economics, Economic Geography and Urban Sociology. 3.1 How to measure inequality? 3.2 How to measure segregation? 3.3 Inequality and segregation of what? Edwin Buitelaar, PhD, is a professor of land and real estate development at Utrecht University and a senior researcher of urban development at the PBL Netherlands Environmental Assessment Agency. Anet Weterings, PhD, is a senior researcher of regional economic development at the PBL Netherlands Environmental Assessment Agency. 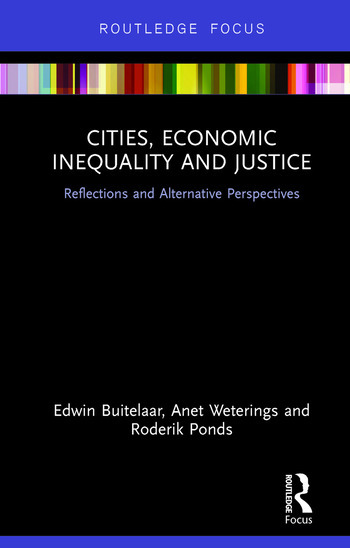 Roderik Ponds, PhD, is a senior researcher at Atlas voor Gemeenten, and a lecturer on Urban Economics at TIAS Business School.